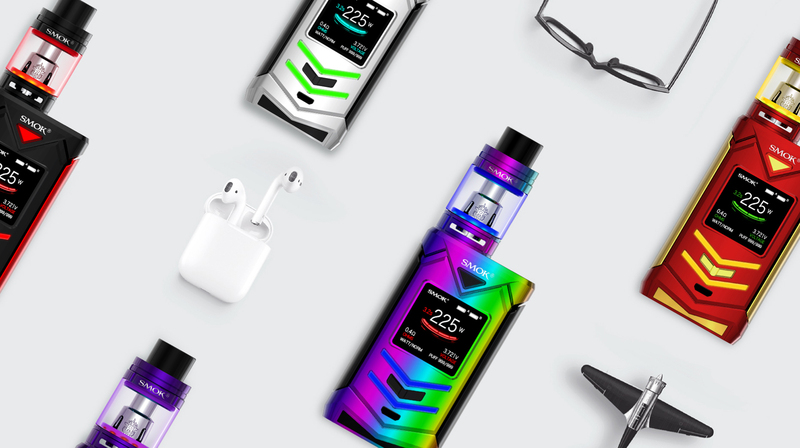 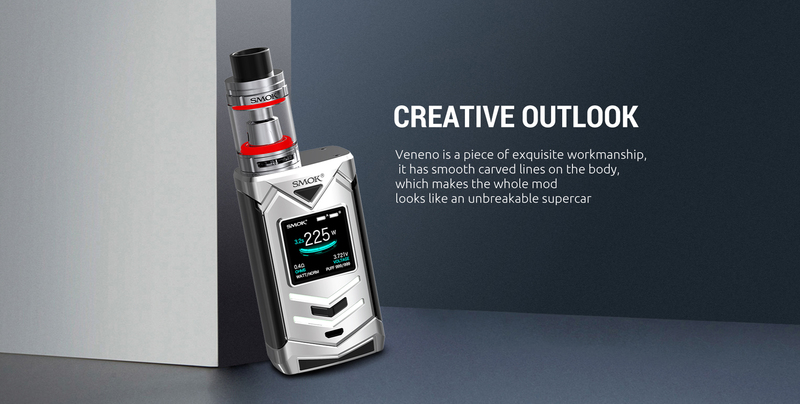 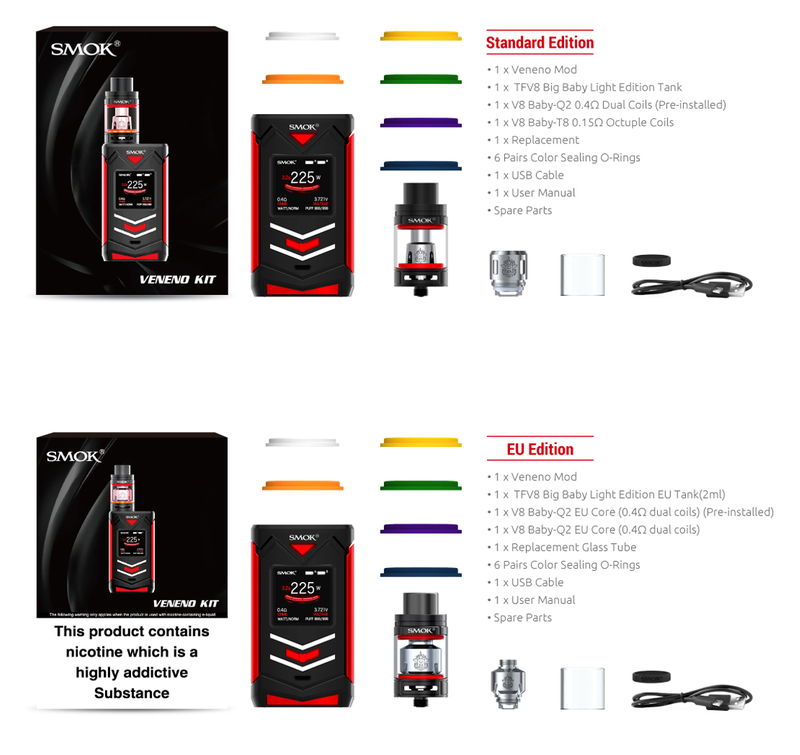 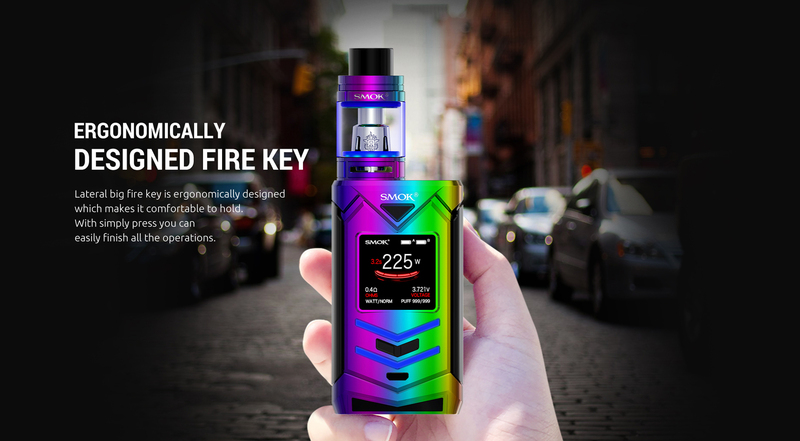 The SMOK Veneno kit includes the box mod with 225W power output with the 5ml capacity of TFV8 Big Baby Light edition paired up with dual high amp 18650 batteries (sold separately). 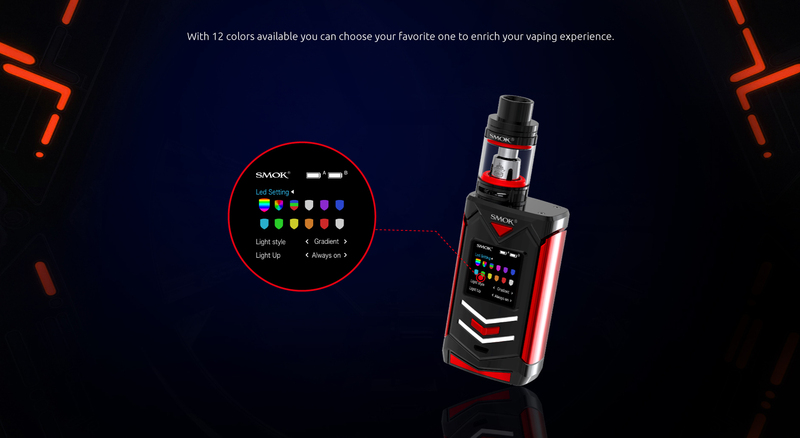 It is an innovatively designed device with colorful LED strips and a high-performance chipset for a brilliant set. 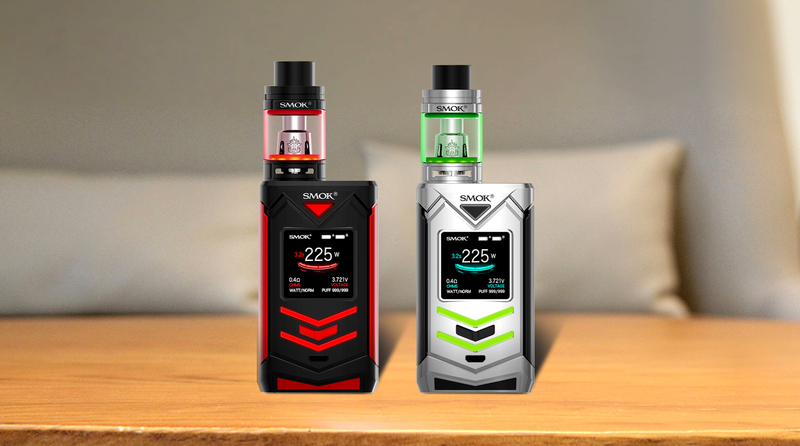 The SMOK Veneno 225W Box Mod delivers one of the most vibrant designs, incapsulating robotic elements with seven LED strips on the device. 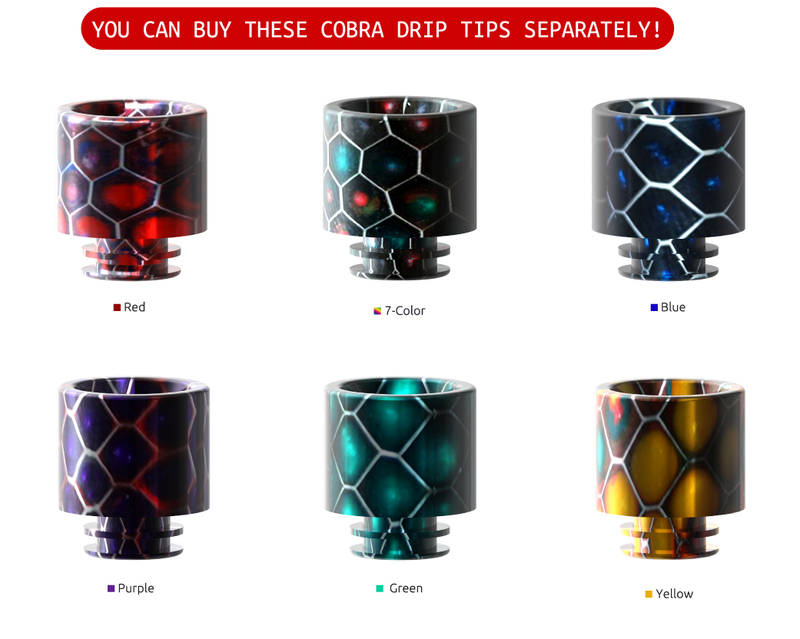 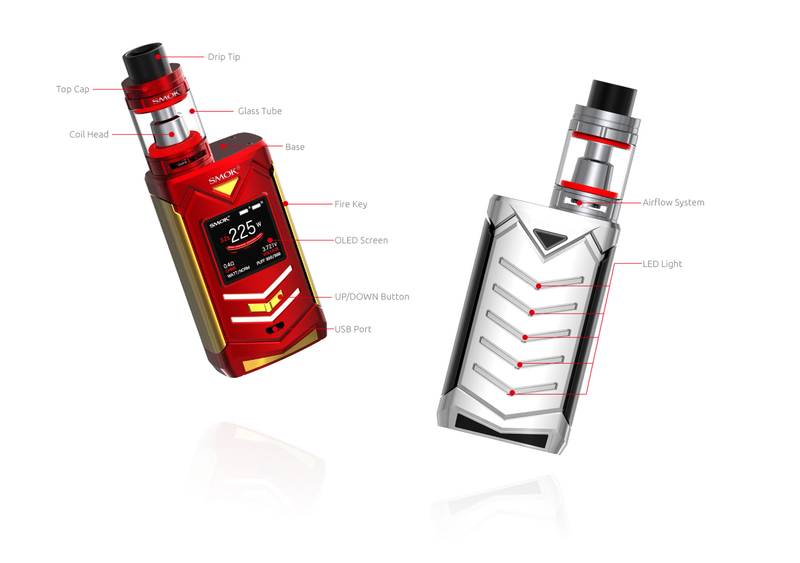 The kit uses the principle of the squeeze to activate firing and a 1.3inch OLED Screen with 6 color customizations. 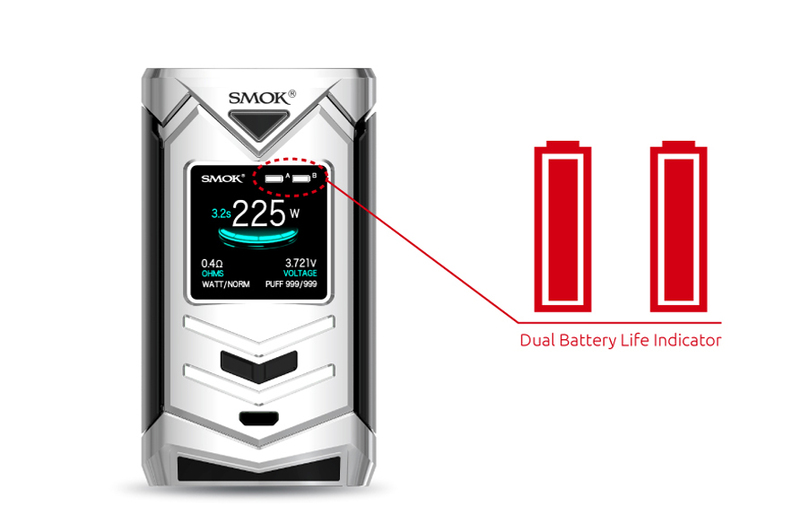 The screen displays all three modes and clear vaping data. 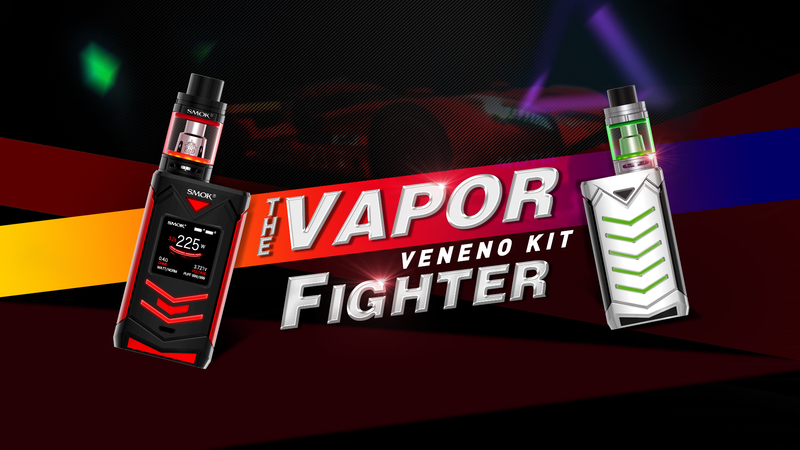 The Veneno kit is wild and unbreakable like a bull. 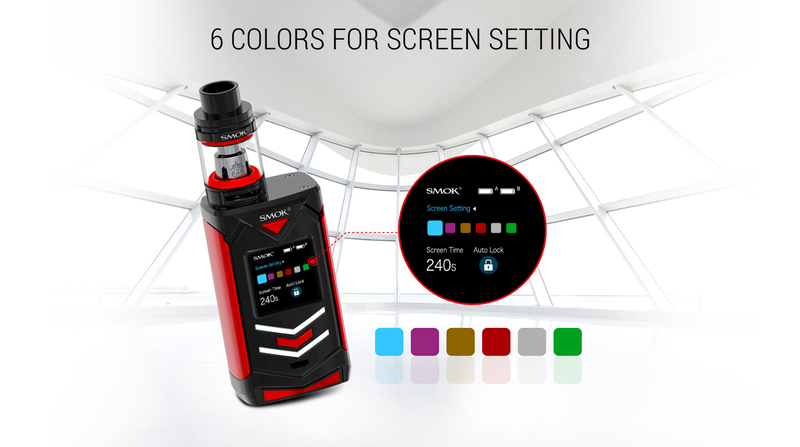 Amazing vaping experience and comfortable to hold, the kit is definitely dominating. 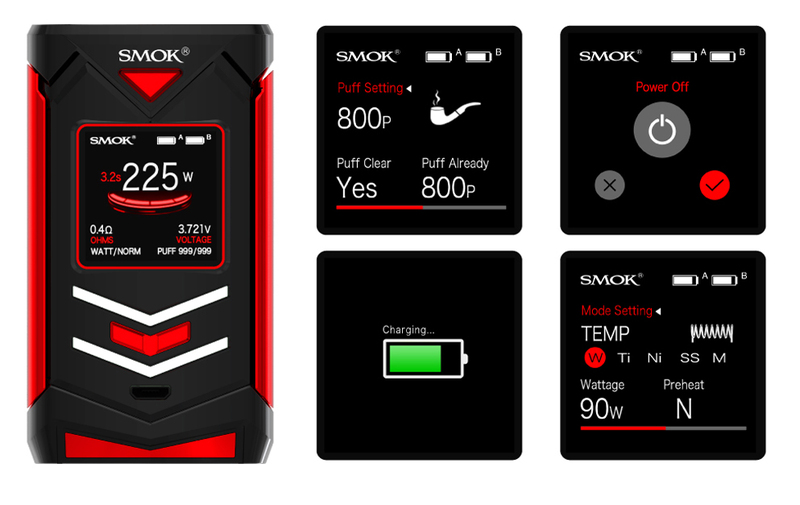 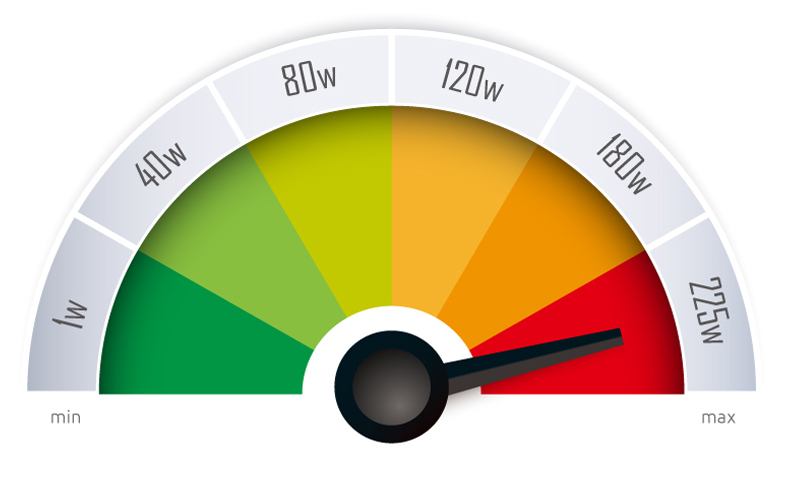 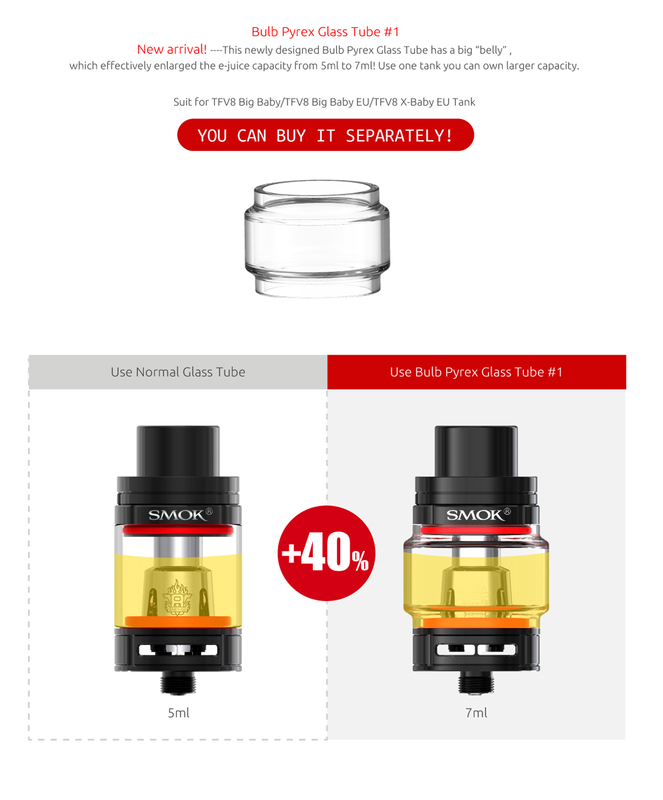 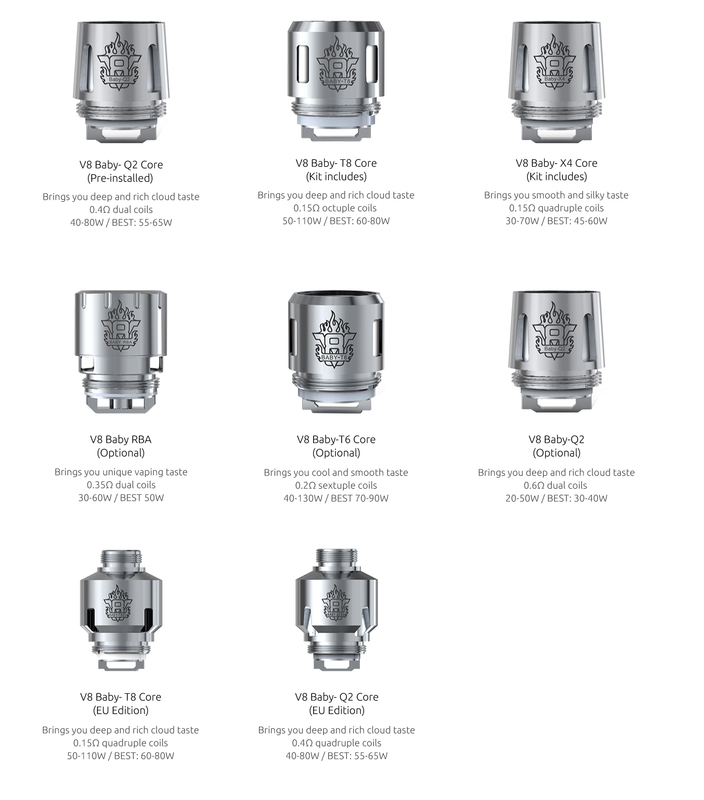 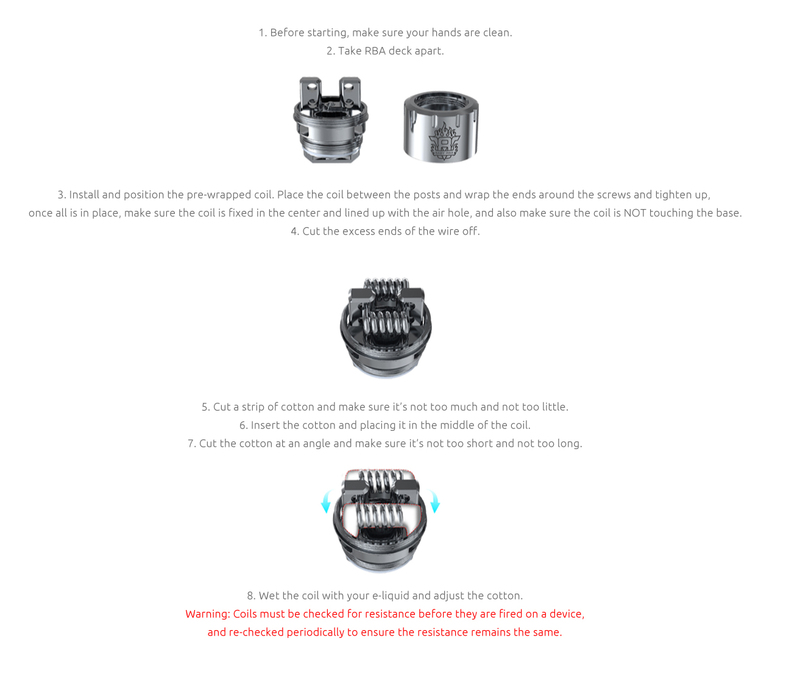 such as VW/TC/MEMORY MODE, vaping effect, voltage, battery life, resistance value etc. 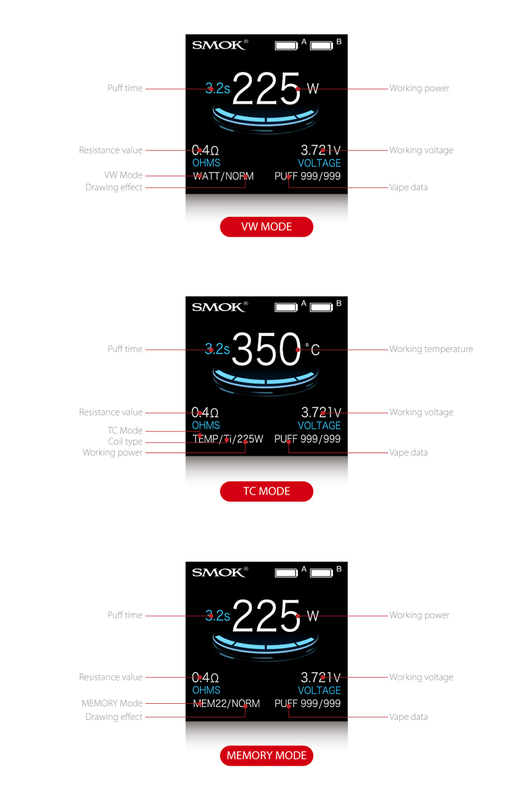 There are 3 modes available: VW mode, TC mode (Ti, Ni, SS) and MEMORY mode. 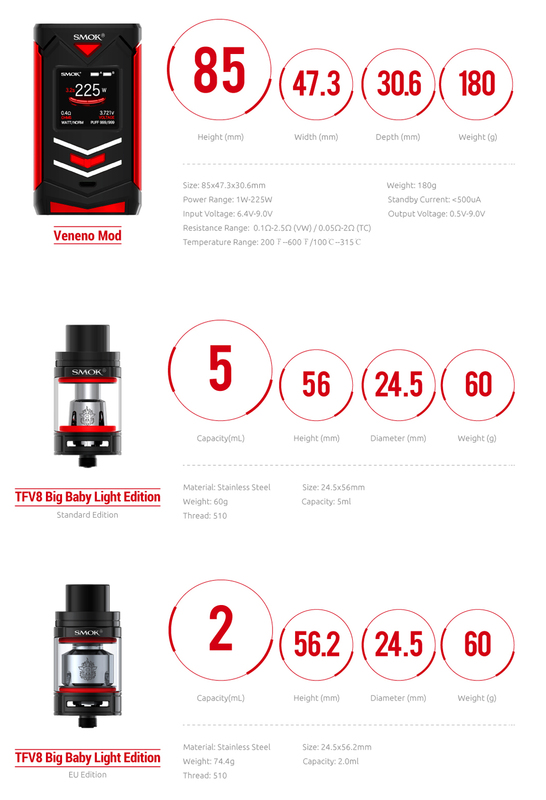 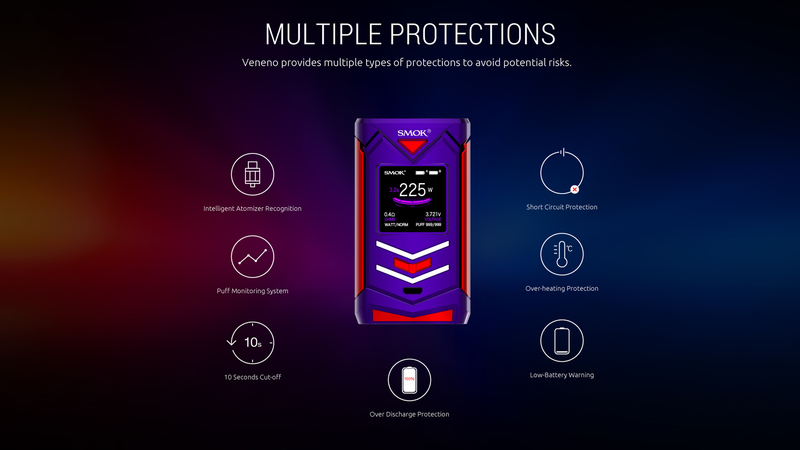 Veneno kit is powered by two 18650 batteries in series.